These are some possible techniques to help a system build internal communication. Generally speaking, they're listed in an order that is progressive so that systems with very little internal communication New can try the first few methods and work their way up through the chain. for why we won't embed videos. Creating maps of your system is one of the easiest ways to help increase internal communication and gauge where your internal communication is already. You can start with just a list, and create more elaborate maps later. For help on this topic, please see the Mapping: Headmaps, Self-Maps, System Diagrams, Internal Landscape maps, etc. page. This method generally uses a string and a heavy object that are balanced to be neutral. Lay a piece of paper out in front of you, and draw a large circle on it. Then draw a line from the top to the bottom and a line from the left to the right on the paper. One settles one's elbow firmly on the table with the arm pointing upwards, and allow your wrist to dangle, which holds the string. Make sure the object is floating a few centimeters over the paper. Holding your arm still, make sure you stop the object from swinging. Then perform the litmus test -- essentially ask yourself a few questions to determine which direction the pendulum swings for yes, no or maybe. For example, the pendulum might swing away and towards your body for yes, from side to side for no and around in circles for maybe. That's the general idea. If you wish, you can mark the paper with these answers, or you can eventually discard the paper if this method becomes reliable. Now you can play 20 questions with yourself. A step-up from the bulletin board method, the journal is a place where anyone can write about their thoughts, dreams, hopes, fears, etc. People again should date and timestamp their journal entries if possible, so that they leave a paper trail for others in case anyone loses time. This method doesn't work for all systems, because sometimes they don't wish to share their thoughts with each other...or some people have a hard time leaving journals and diaries laying around due to other people in the home. Other options include password-protected online diaries and applications for journaling, if you can all know the same password. Autowriting can happen at any time and includes autotyping. Sometimes inner people find autowriting easier than talking, or switching to front. To do this more-or-less on purpose, hold a pen and piece of paper and just start writing whatever comes to mind, on purpose -- stream of consciousness. When you have a good stream-of-consciousness-to-pen flow going, start to pay less attention to the stream of consciousness and allow your own thoughts to wander independently of what is guiding the pen, observe the pen, the paper, the words as they flow to the paper, but no longer purposefully guide the pen or the words to follow your thoughts, and see if someone else takes over the hand/pen and starts to write to you... If you get good at autowriting you can have a directed conversation on paper or in a text document. Sorta like chatting with someone else in your head. Autowriting is a multiple moment. Watching your hands type what someone else is thinking is weird. But it's also kinda neat. This is like an internal phone tree. In some systems, internal communication is inconsistent and this is a way to find out whether there are those inside who can hear and communicate with others. It can start with an "everybody listen and please pass along" announcement � although it can sometimes target someone in particular. If you don't know how to talk to individual residents in your head, or to everyone in your head, you can still ask people inside to pass along messages. This helps you talk not just to Sue-Ann but to her subsystem as well, for example. So you discuss something with her, and she passes the information along by simply repeating it. This effectively makes individuals in your head a relay -- and can also work when talking to people outside your body, the person who is front becomes the relay -- it's not necessary to switch fronts just to have someone send a message to a specific resident or the general population. This should not be done via rapid switching if at all possible. Consider this similar to autotyping except that you give over your mouth and vocal cords to whomever wants to say something. This can definitely make your mutliplicity painfully obvious as you hear the variations in voice, phrasing, emphasis and emotional content, ideas, intelligence/experience levels, etc. and you are not the one thinking the thoughts that are coming through. Don't try this one where anyone can overhear you unless you trust them not to freak out badly. Eventually you may want to simply have conversations openly within your head. Any of the other methods can still be used for any reasons, with people unable to be co-aware or access the Here & Now New, and you might find that there's a group of people who can talk-inside and several who haven't achieved that ability yet and you need to use other methods to talk to them. If you want to journal in an electronic format, hold meetings and take typed meeting notes, or even on paper you want to be able to easily track who says what ��or "tag" what you say in a chat or other typed document � you can use shorthand methods to show who is talking. One way is to replace quotation marks with other symbols... or put a symbol at the beginning of each paragraph for whom is talking. Then you can write in any application � Notepad, Notes on Apple devices, Microsoft Word, Day Once with a password � or any other journaling application you want to use. Due to privacy concerns, we suggest something passworded & encrypted. Preferably something limited to your own devices and your encrypted documents are sync'd through a cloud service like iCloud or Dropbox. A. What do we want for dinner? A more advanced and colorful version of this would be to use typesetting "styles" in any half-decent word processing program, hopefully with shortcuts or an easy sidebar menu you can click on such as Microsoft Word or Apple Pages. Pages on iOS also has styles in it, accessible by a drop-down menu when you have your cursor in a paragraph. Note that if you use Grammarly, your word processing program contents are NOT PRIVATE. Grammarly sends your information to the cloud to correct the document! Also, Google Docs is not private, it's on the cloud, and technically Google has access to it. 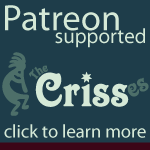 Crisses is using a PmWiki-based wiki journal and you can find information and instructions here New. For more tips, here's a video from Power to the Plurals. Power to the Plurals' video covers the more modern tools available, like social media applications and email. Note: the "Whisper Game" suggestion is like an old-fashioned "Phone Tree" where you announce or cancel a meeting by calling a few people who each call a few people, who each call a few people.... They would have a pre-arranged phone tree list. For more about organizing meetings, see this category. From here, you probably need to develop co-awareness and co-consciousness New. For more help on developing co-awareness and co-consciousness New see the United Front Boot Camp as well. Thanks for all the hard work. So happy you shared the site with us. Helps a lot to get ideas.